Selena Gomez has new music in the works! «#BackToYou. Out May 10th, part of the @13ReasonsWhy S2 soundtrack. I’m so excited for you guys to hear it.❣,» Gomez wrote on Twitter. While Gomez sports an edgy bob in the artwork for her new song, makeup artist Hung Vanngo shared pics of the star rocking a fresh set of bangs on Instagram on Saturday. «Coming soon…» he captioned the slideshow, leading many fans to believe Gomez has yet again switched up her look. 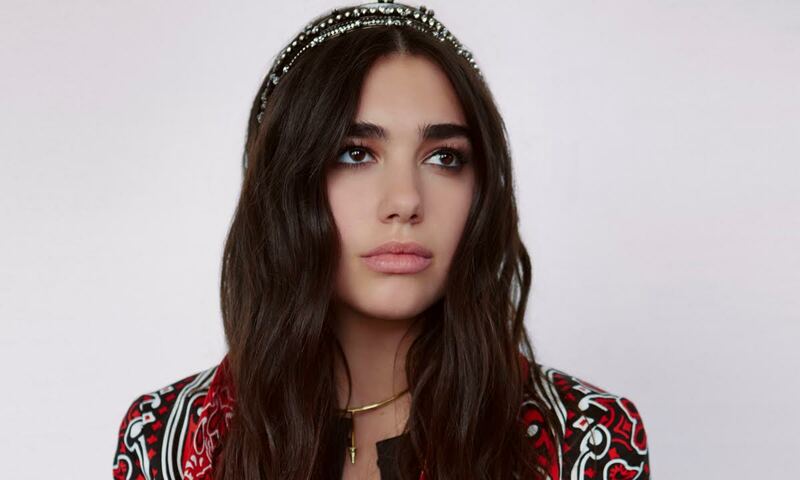 Dua Lipa unites with up-and-coming producer Whethan on her new single, “High.” Released today (February 9), it is included on the soundtrack for Fifty Shades Freedand is a rebellious bop. “Don’t ask me to be righteous if you practice what you teach. Counting all your blessings the second you’re down on your knees,” the “IDGAF” siren proclaims over a growling production. She channels her energy into an impassioned request on the chorus. “So why? Why don’t we get a little high?” Problem solved, right? Whethan’s production is instantly memorable and has a cinematic quality, making “High” a perfect addition to the franchise. Undoubtedly it will be featured during a prime spot in the film, which was also released today. With any luck we will also receive a video for the track, because Dua is in rare form here. Delivering soaring vocals, she effortlessly rides the beat and comes off as an appropriately confident pop princess on the rip-roaring anthem. Dramatic and carefree, it is easy to imagine the song climbing the charts and becoming a respectable hit. The pair are in good company on the soundtrack as well. Other songs on the release include original content from Julia Michaels, Rita Ora and Liam Payne, Hailee Steinfeld and Jamie Dornan who stars in the franchise as Christian Grey. A highlight will likely be Ellie Goulding’s reimagined rendition of “Love Me Like You Do,” which was included in Fifty Shades of Grey. Give the song a listen below! Rita Ora and Liam Payne have rolled out one of the first certifiable bops of 2018. The pair joined forces on “For You” for the soundtrack to Fifty Shades Freed. Considering that the franchise has spawned a handful of hit singles including Taylor Swift and Zayn Malik’s “I Don’t Wanna Live Forever,” the surprise collaboration was highly anticipated. Released today (January 5), the romantic banger is a fiery love song that exceeds expectations. On the track, they soar to unexpected heights buoyed solely by the power of love. “In your eyes I’m alive. Inside you’re beautiful, something so unusual. In your eyes I know I’m home,” Rita declares over racing synths on the opening lines. The “Anywhere” siren steals the show with her impassioned delivery. However, she graciously shares the stage with Liam. “Skin to skin, breathe me in. Feeling your kiss on me. Lips are made of ecstasy. I’ll be yours for a thousand nights,” he vows. Compared to Taylor and Zayn’s moody release, this is shaping up to be a bright spot on the soundtrack. If they play their cards right, Rita and Liam could have something massive on their hands. With the right music video and a handful of promotional performances, “For You” could easily climb the Billboard Hot 100 and become a breakaway hit. While Rita is riding high on the back of three UK top 10 hits, she still hasn’t made a dent on the Billboard Hot 100. Liam got off to a good start with “Strip That Down,”which cracked the top 10 and sold double platinum. However, he hasn’t had much luck with “Bedroom Floor.” The 24-year-old’s second solo single has stalled at number 98 despite being a vast improvement on his smash hit debut. Perhaps their collaboration will give them the final boost to break through the American market. Give “For You” a spin below!